Want to create and track specific referral campaigns in Metrilo? 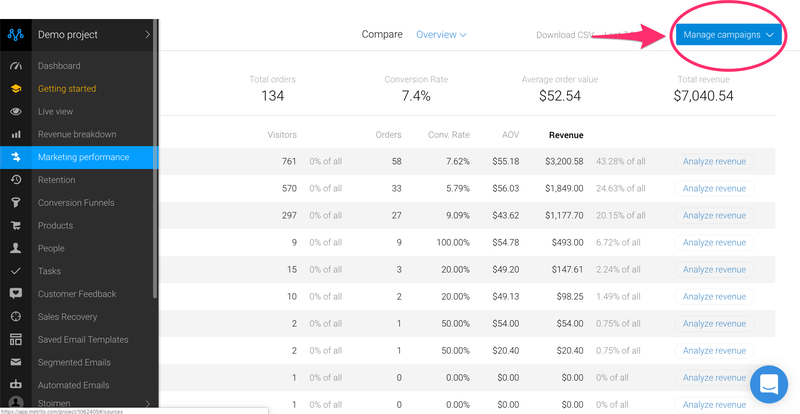 In the Marketing Performance tab, there's the Manage campaigns button in the top right corner. When you click it, you can choose to create a standard campaign or an influencer campaign. 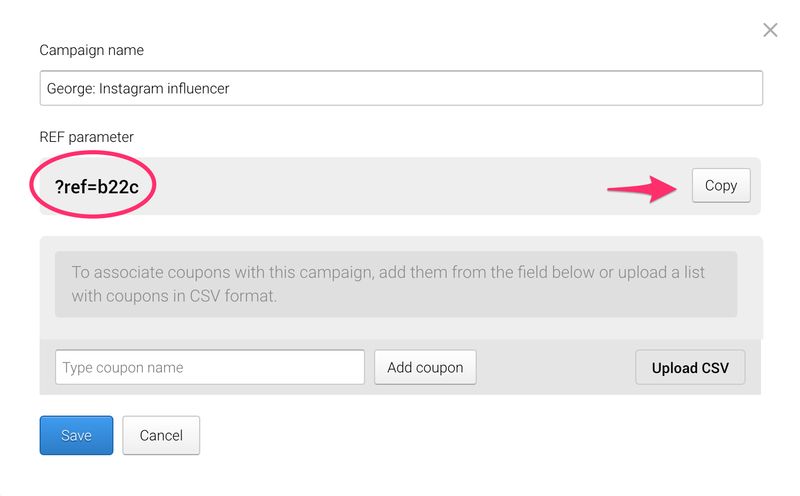 Step 3 Associate a coupon with the campaign or upload a CSV with a list of coupons to be counted towards it. 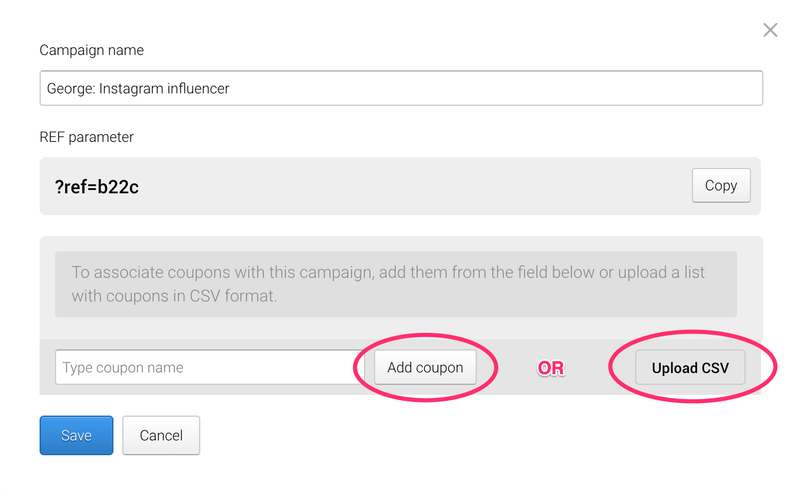 That's optional, in case you don't want to associate coupons to the campaign, you can skip it and use only your REF parameter.